When you walk into KJ Singh’s brand new AAMCO center in Williamsport, Pennsylvania, you immediately feel comfortable. The waiting area is more like a hotel lobby, with ample space and enough plush seating for several customers to feel completely relaxed while they wait for their cars. This is intentional — Singh owns several hotels and restaurants in the area and has a significant background in customer service. In short, he specializes in making his customers feel welcome. Though he owns multiple businesses, KJ Singh had no background in auto repair. 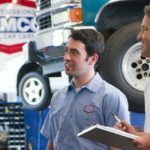 When the opportunity to purchase the local AAMCO franchise came up, he learned that the brand has enhanced training and support so substantially that entrepreneurs no longer have to know how to fix cars to succeed in business. They only need to know how to manage a business. In light of his existing business portfolio, he didn’t hesitate to jump in. In the two years since, Singh has become one of AAMCO’s top performers and loves life in his new business. 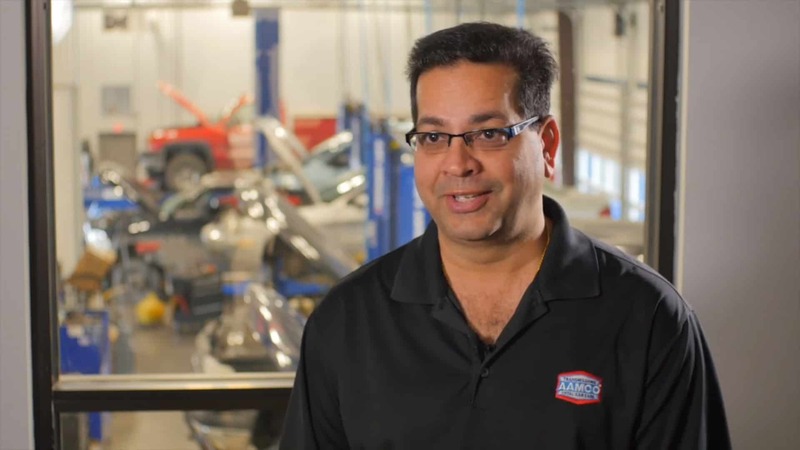 What was your experience in auto repair before you franchised with AAMCO? Singh: Before I purchased AAMCO I knew how to put gas in the car. What were you doing before you before you became a franchisee? Singh: I own hotels, storage units and restaurants in Williamsport. Why did you decide that AAMCO would be a good investment? Singh: I was opening up a car sales business, and I needed a garage to go with it. 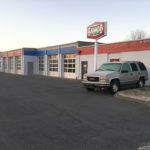 An AAMCO was available for sale in Williamsport, and they had a good reputation for years and years. I thought it would be a good marriage — where the AAMCO Center would be a standalone profit center, and it could also help with my other business. What did you change when you took over the AAMCO? Singh: This franchise has been in this town for 37 years. They had a profitable center and a great reputation. I decided to build a brand new center because they had a rental and I wanted to own the center myself. I decided that six bays weren’t enough, so I built eight. How did going through AAMCO University help you become established in your business? Singh: It was the biggest training I’ve ever done. I initially thought the training was too much, at four weeks, but I think it was the best thing for me. Does AAMCO University teach you everything you need to know about the business model? Singh: Yes, they do. It’s a pretty intensive course, and my class was run by Brian O’Donnell (Senior Vice President of Franchise Development with AAMCO). They go over everything from the technical aspects to sales. It’s mandatory for new franchisees, and that’s as it should be. How would you rank the level of support that AAMCO gives you on an ongoing basis? Singh: The level of support has been excellent, and this is coming from a guy who owns multiple franchises. It’s a small community of people who are very, very skilled in their technical field. For the fees that we pay, I think AAMCO provides an excellent return on investment. Does the level of support extend to your technicians? Singh: Yes. Technicians are in demand, so being able to retain them is incredibly important. AAMCO provides an enormous amount of training for technicians. I’ll give you an example — a few months ago, AAMCO put out a really good technical training on CVT transmissions. It was an investment on my part because I had to pay them, but AAMCO also made a big investment because the training was completely free. Now, all of my technicians are completely certified in repairing hybrid and electric vehicles. This is a big advantage for me, as the owners of these vehicles think that their only option is to go to the dealership. Now they can come to my AAMCO center. How does the new POS system help you run your business while you’re running other businesses at the same time? Singh: The new POS system has been a godsend for me. We just implemented it — it’s a cloud-based solution. For a person who has multiple businesses, it has been a very helpful tool. I can know what’s happening in my center from anywhere — and that is a tremendous help. What qualities do you need to have to succeed in the AAMCO franchise? Singh: You need to have good business acumen, you need to be able to put the hours in, you need to be dedicated, and you need to have good people around you to work with you. Interested candidates should have a minimum net worth of $250,000 and liquid assets of at least $65,000 per unit. Depending on the real estate site selected, franchisees can expect the total investment to be approximately $223,600 to $330,000 with a $39,500 initial franchise fee. AAMCO offers financing support for qualified candidates. Reduced franchise fees also are available for honorably discharged veterans.